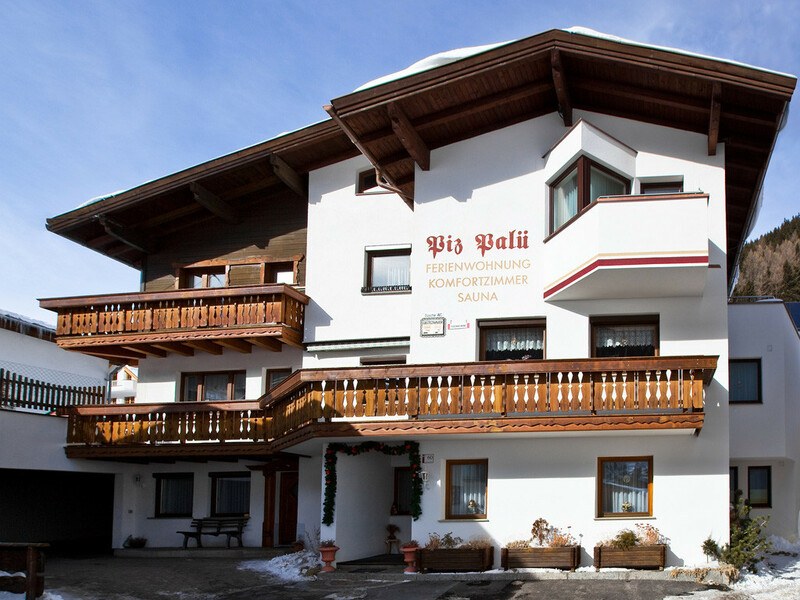 Our house is in a quiet and sunny setting in the center of Mathon, a small district of Ischgl, and offers you a wonderful view to the nearby mountains. You have your own parking place in front of the house or in the garage. All guests of Ischgl/Mathon get the price reduced VIP ski pass. We can offer you 5 double rooms, 1 single room and 1 apartment for 4-5 people with a big balcony. All rooms are equipped with shower, toilet, free WIFI, radio, cable TV, hair dryer and a safe. The apartement is fully furnished and equipped with a kitchen and cooking supplies, clean bed sheets and fresh towels. You can relax in our sauna/sanarium and infrared cabin, their use is already included in the price. The breakfast room is also available as recreation room.